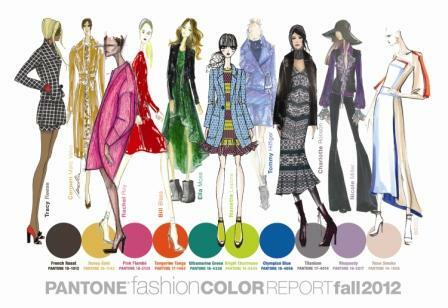 In concomitanza con l' inizio della fashion week newyorchese, ecco che l'azienda Pantone svela i 10 colori più importanti della moda femminile e maschile per l'autunno 2012. Concentrandoci su quelli femminili, i colori da indossare saranno i seguenti: French Roast - un marrone tendente al nero, Honey Gold - un giallo brunito, Pink Flambé - un "quasi fucsia", Tangerine Tango (di cui ne avevo parlato qui) - un arancio acceso tendente al rosso, Ultramarine Green - un verde scuro, Bright Chartreuse - un verde acido tendente al giallo, Olympian Blue - un blu elettrico, Titanium - il grigio per eccellenza, Rhapsody -un lilla ed infine il Rose Smoke - un rosa pastello. 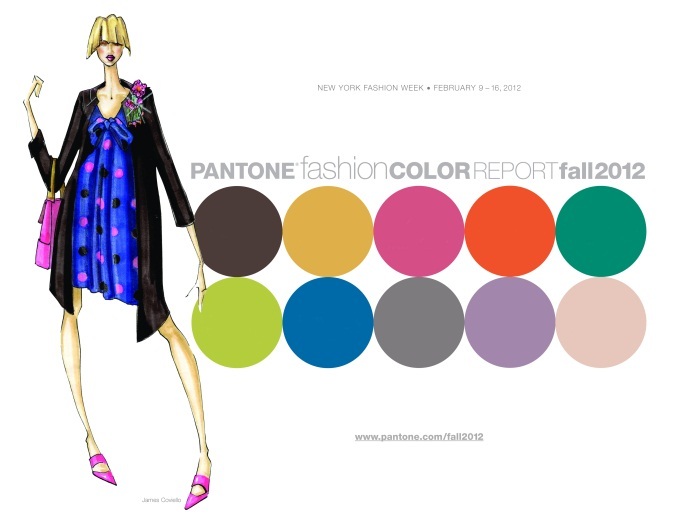 In conjunction with the beginning of the New York fashion week, here the Pantone company that reveals the 10 most important colors in fashion for women and men for fall 2012. Focusing on the female, the colors to wear are as follows: French Roast - a brown to black, HoneyGold - a burnished yellow, Pink Flambé - an "almost fuchsia",Tangerine Tango (of which I had talked about here) - a bright orange to red, Ultramarine green - a dark green, Bright Chartreuse - acid green to yellow, Olympian blue - an electric blue, Titanium - gray for excellence, Rhapsody- lilac and finally the Rose Smoke - a pastel pink . Questi colori, presenti nel cosidetto Pantone Fashion Color Report, sono il frutto delle opinioni di designer e trend setter sui colori delle collezioni. These colors, present in the so-called Pantone Fashion Color Report, are the result of the opinions of designers and trend setters on the colors of the collections. My colors all the way! Love the new colors... wonderful! Thanks for posting this---I love all these colors and will be looking for them! Me piace ultramarien green, super cool. I LOVE Pink Flambe and Olympian Blue! Those are my faves! Great post! :) Happy LOVE Day! cavolo che belli! 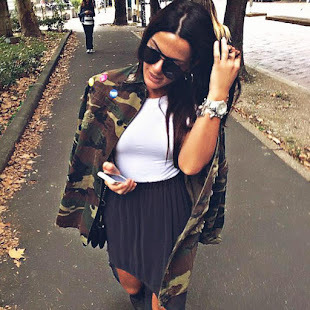 io devo ancora fare il post sui trend estivi e già abbiamo i pantoni invernali :))ops! Love the colors:-) And thank you for comment on my blog:-) M.
I'm agree with the selection.